Martin was born in London and trained as a stage manager at The London Academy of Music & Dramatic Art. He joined Philip Hedley’s ensemble at the Lincoln Theatre Royal in 1968 as an Assistant Stage Manager – and within two months found himself onstage in Mike Alfreds’ production of THE GOVERNMENT INSPECTOR. For the following 20 years, he shared his time between acting and composing, working in repertory theatres all round the UK, the West End, on film and TV and composing music for over 50 productions. He started directing in 1990 and in 1994 he was appointed Artistic Director of Nottingham Playhouse where he stayed for 4½ years; then in 2002 was appointed Joint Artistic Director of Chichester Festival Theatre. 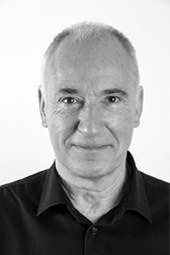 Martin is an Associate Artist of Mountview Academy of Theatre Arts, on the Advisory Board of Goofus and was Artistic Adviser for London 2012 Festival.